Intended for use during "battles", as opposed to "garrison" dress uniforms, the Battle Dress Uniform was used by the U.S. Armed Forces as their standard uniform for warfare situations from the early 1980s to the mid-2000s. 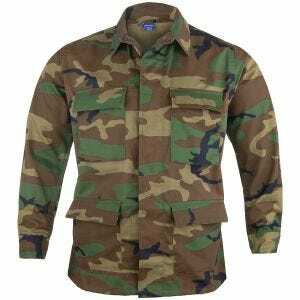 Reminiscent of the Vietnam-era jungle fatigues, the BDU shirt and combat pants first appeared in September 1981, and soon replaced all earlier camouflage pattern uniforms. 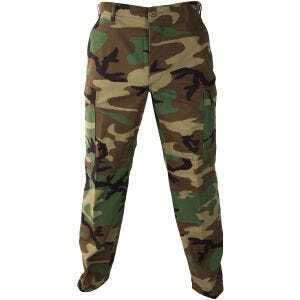 Although since then it has been replaced in every branch of the U.S. Armed Forces, the BDU shirts and pants remain popular thanks to their construction and features and are still used by some U.S. federal, state and local law enforcement agencies or Special Forces teams, as well as in other countries worldwide. 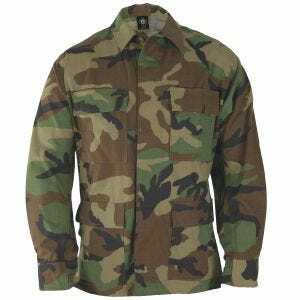 Available at Military 1st online store Propper BDU shirts and cargo pants in traditional Woodland camouflage offer all you could expect from traditional Battle Dress Uniform: characteristic, comfortable and roomy cut, durability and functionality.